General Dynamics’ mission systems business and data security company Vera have partnered to combine their cyber platforms designed to help government agencies and other organizations protect enterprise data. General Dynamics said Thursday it will integrate its Route 66 Cyber Enterprise Digital Rights Management on-premises and software-as-a-service offerings with Vera’s Always-on File Security platform under the original equipment manufacturer agreement. 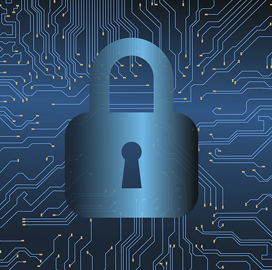 Vera's Always-on File Security works to protect and encrypt sensitive documents across unmanaged applications, devices and domains, while Route 66 Cyber is designed to help enterprises protect data and manage policies to ensure real-time file security. Chris Brady, president of General Dynamics Mission Systems, said one of the major challenges facing the country is building up the security posture of critical infrastructure and government systems and data and the partnership will help address that challenge by accelerating the adoption of government-ready security tools.